Today, July 17, the kidnapped Ervin Ibrahimov turns 32 years old. 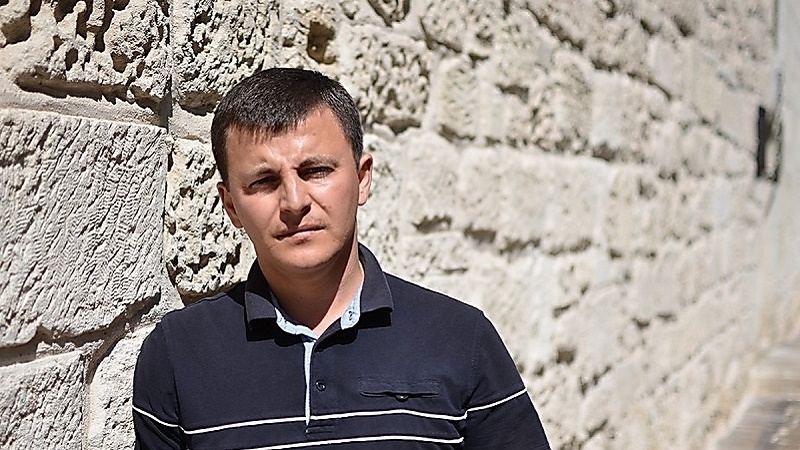 July 17, the Crimean Ervin Ibragimov who was abducted more than a year ago, turns 32 years old. His whereabouts are still not established. This day could be a holiday for the whole family of the Ibragimovs, because both parents of Ervin have birthdays today as well, but after the disappearance of their son they are not up to the holidays. Deputy Chairman of the Mejlis of the Crimean Tatar people Ilmi Umerov wrote about the situation on Facebook. "Today Ervin Ibragimov turned 32 years old ... One year and two months ago he was abducted by people in the form of a Traffic Police near the house where he lives ... The investigation continues, no results ... We, friends and relatives, are convinced that the current authorities are involved in this abduction (which is not a single case)... But how can this be proved in the current conditions? Only thing that remains is to demand the same from them - RETURN ERVIN!!! I wish them only one thing: the RETURN OF THEIR SON!!! " Reference: A member of the World Congress of Crimea Tatars Executive Committee Ervin Ibragimov was kidnapped on May, 24 2016, at about 11:00. Later, video recording from external surveillance cameras on the building of a store owned by a Crimean Tatar businessman in Bakhchysarai became available. The cameras recorded several unknown persons, presumably in the uniform of the Russian traffic police, forcibly putting Ervin Ibrahimov into a minibus. On June 2 in Bakhchysarai, a local resident found documents of the kidnapped Ervin Ibrahimov, including passport, driver's license and work record book and took them to the police station. The video, published online June 3, shows a car with persons unknown wearing traffic police uniform driving out from the water storage a few minutes before the appearance of Ervin Ibragimov's vehicle. Then they stopped his car, searched it and took him to a white Ford Transit van. The young man tried to escape, but two persons forced him into a vehicle and drove away in an unknown direction.